Well, we have had rain every day for 3 days now, that's different. It's coming in bits too, about 1/4 inch more or less at my house each time which is good I guess as it will soak in well. I'd prefer a bit more so that we build up before the hot and dry comes though it's already hot, mid 80s. Yuck and now humid too, double yuck. My image for today is of a lovely waterfall from my trip to South Dakota which was just last year but seems forever ago for some reason. 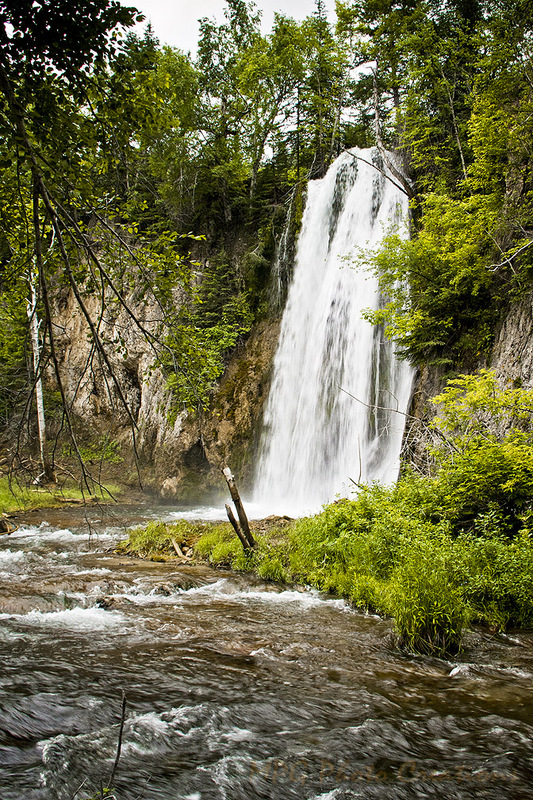 This is Spearfish Falls in Spearfish Canyon.